Enadoc is inevitably making document management better and better. Through the course of its development, it embraced what users would need to achieve more in terms of collaboration, document security, and work efficiency. 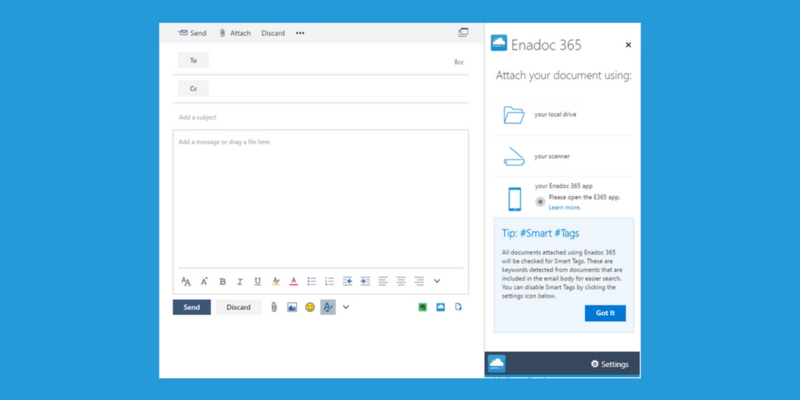 With these user needs in mind, its developers conceptualized two additional Enadoc must-haves: Enadoc 365 (the mobile app) and Enadoc 365 Document Scanner (the Outlook add-in) – all for free. 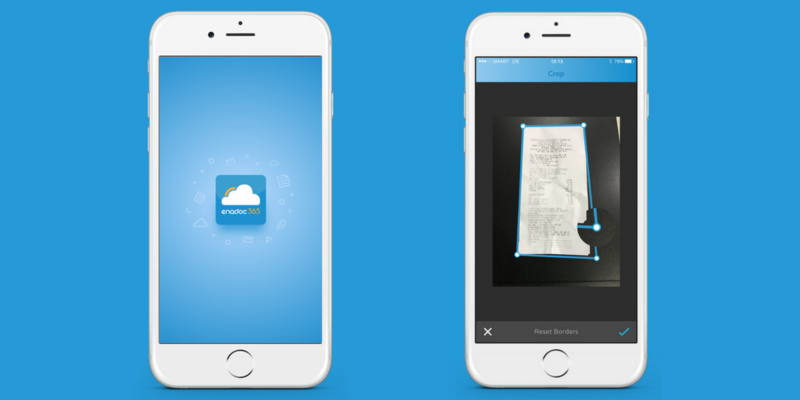 When you’re on-the-go and need to capture, store, send, attach, or store a document instant, the Enadoc 365 mobile app is surely handy. No scanner available? No problem. The app allows you to capture a physical document through your mobile camera, fix skew and slants to make dimensions even, apply filters for more legibility, and voila! You have one fine-captured document in the palm of your hand. Once you’re done modifying the captured document, the app will give you options on which actions to take. You can either share it through your installed sharing apps, send directly using your local email sender, upload to Enadoc, or attach it via your Outlook through an add-in. Have an Outlook? No more switching windows or pressing alt + tab just to browse and scan single or multiple-paged documents to attach to emails. With this Outlook add-in, your local drive, scanner, and mobile device are all synced in one place. The scanning function also lets you scan document in grayscale, colored or black & white. How cool is that? Simple: The add-in connects your mobile app to Outlook for seamless file capture. Once the add-in was downloaded from the Office Store and was installed to your Outlook, it can then be synced with your mobile app through an Outlook email address. Take note that installing the add-in to Outlook is a MUST if you want to capture documents using your mobile app. 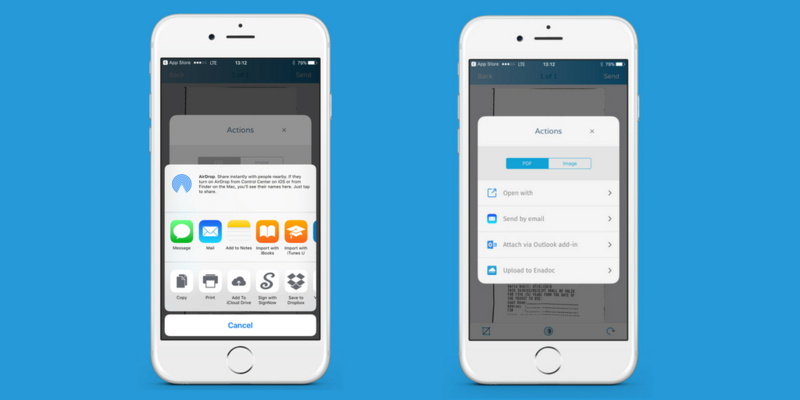 Capture, edit, crop, and enhance the document through the app > Choose “Attach via Outlook add-in” among the app’s actions > Captured document is then attached to an opened Outlook email. If you’re doing great with Enadoc your workflow, you might be missing these new additions. Enadoc 365 (the app and the add-in) will set your foot for smoother collaboration, easier document sharing, stronger file security, and greater productivity returns. Grab the app now for FREE. Click here. The add-in? Here you go!